For the greater part of the 20th century, private branch exchanges or PBXs were used by businesses for all their communication needs. 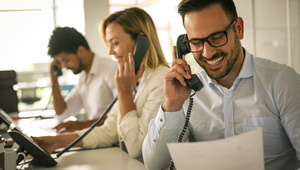 A PBX is a phone system present within an enterprise which is responsible for switching calls between multiple users residing on the local lines whilst making it possible for all users to share a number of external phone lines as well. Prior to private branch exchanges, businesses had to incur a lot of costs to place calls because the now-obsolete telephony technology was inefficient. Calls made to an employee present in the same room as you got routed in the same way a call made across town would get routed. For example, if you place a call to your friend present in the next room, it would first get sent to the central call routing server (which can be many miles away) and then the server would dispatch it to your friend. This would mean hefty charges on all made calls, regardless of the distance. PBXs were considered a viable alternative as it improved the overall efficiency of communications and also brought about a significant reduction in costs. However, towards the end of the 20th century, IP PBXs were introduced and by the end of the first decade of the 21st century, most businesses had IP based PBX solutions. The greatest advantage of IP based PBX solutions or VoIP was that it allowed businesses to use the same internet circuits for both data and voice traffic. There are two ways you can implement a VoIP based solution for your business: get a cloud based subscription or deploy a VoIP solution on-premise. In this article, we will compare the two options and eventually show why cloud based VoIP proves to be the more viable way forward. Lower installation and equipment cost as you don’t have to buy any wires or servers. The customer performs any required network qualifications. If any updates are needed, the customer will have to pay for them. The customer is responsible for the programming of any features related to the VoIP solution. Lower maintenance costs (if any) as no hardware is hosted on site. However any network devices like routers, switches and IP phones are the responsibility of the customer. Staff training costs are to be incurred by the customer. Monthly service costs are low. Adding extra lines is very easy. Advanced features like conferencing and call screening might involve extra costs. Higher installation and initial equipment purchase costs. Maintenance costs are also higher most of the time as a lot more equipment is needed for operation. Monthly costs are relatively lower once the expenses get covered. 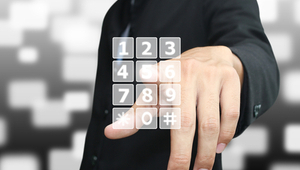 SIP trunking is also possible which makes it possible to make calls that cost considerably less. Network qualification will be done by the on-site PBX provider and not the customer. All installation and programming of the VoIP solution will be done by the provider. 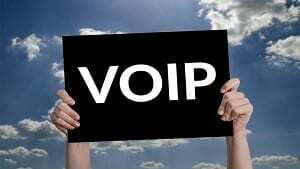 The VoIP service provider will be responsible for training the staff. Even though there are differing costs associated with the two options presented above, the hosted or cloud based VoIP solutions prove to be more financially viable in the grand scheme of things. Another huge advantage that cloud based VoIP solutions provide businesses is the addition of new features. Most of the time the company providing the services has more resources than its customers, which makes it more likely to develop new features. As soon as it tests the newly developed features, it can add them to the cloud based solution and the customer can start using them without having to run any software or hardware update at their end. For example, Vonage has added several new features in the past. On the other hand, an on-premise situation might require a customer to upgrade their hardware or run multiple patches to try out new features. When your VoIP solution is based on-premise, you have to manage your power backups yourself to ensure that the communication system stays up at all times. This can be a problem in catastrophic situations where due to power disruption or any other unexpected reason, your VoIP system goes down, making it impossible for your customers to reach you. However, cloud based VoIP solutions don’t face this problem because even if your power gets disrupted, your customers will still be able to call you. You might not be able to receive the calls on your IP phones, but you can get them forwarded to your mobile phones or sent to voicemail. Another huge advantage that cloud based VoIP solutions have over on-premise ones is their ability to allow seamless scalability. With an in-house VoIP phone service, you have to add new hardware and carry out multiple cumbersome back-end processes to be able to support more users. On the other hand, with a cloud based solution, all you have to do is call your service provider, such as RingCentral or 8×8, and have their experienced technicians do the scaling up for you. More and more technologies are being shifted to the cloud because it provides users with a seamless and cost-effective solution. This is why the public cloud computing market grew to $130 billion by the end of 2017. Cloud based VoIP has also been winning the race against on-premise VoIP solutions and in this article, we can see exactly why.